The grizzly has long been honoured, not only as a symbol of the elusive and powerful wildlife of Canada but also by Canada's First Nations people for thousands of years. They are held in reverence not just for their strength, but often with the same respect as a grandfather or cherished ancestor. 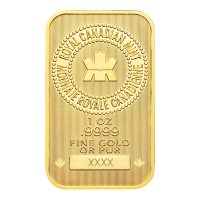 This is the first coin in the new $5 gold O' Canada series. 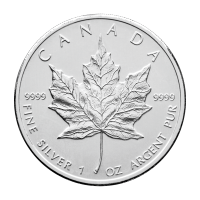 The obverse features the Susanna Blunt effigy of Queen Elizabeth II and the words "Elizabeth II D.G. 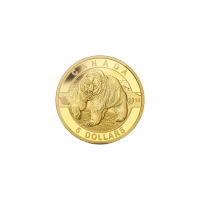 Regina"
The reverse features a design by Canadian artist Glen Loates that captures not just the powerful nature of the grizzly, but also its solitary persona. 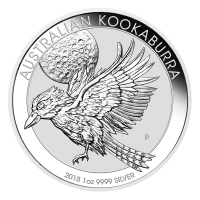 The coin prominently features a full body portrait of a grizzly viewed from the front displaying it's full bulk to stunning effect. The grizzly has its right paw raised, claws visible, and its mouth open revealing its large teeth, likely in a display of aggression or dominance. It's massive musculature, large head, enormous neck hump and gargantuan body lead back to its low rump and squat powerful hind legs. The thick, silver-tipped fur is shown to remarkable detail and adds to enormity of the grizzly's appearance. The grizzly stands alone on a rocky outcropping with the jagged peaks of the North American mountain ranges in the background, the highlight of its harsh habitat. Engraved along the outside are the words "Canada 5 Dollars 2014", the artist's initials and a miniature, stylized profile of a grizzly head. 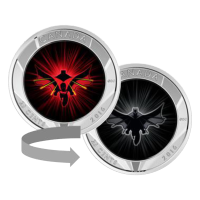 This limited release coin has a worldwide mintage of only 4,000 and is sure to sell out quickly. 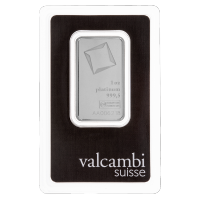 It makes a perfect addition to any wildlife or gold collection. 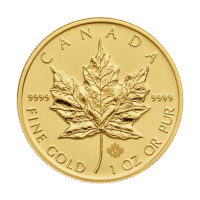 This 9999 pure proof finish gold coin comes encapsulated in a maroon clamshell case with a serialized certificate.